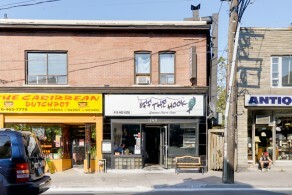 Riverdale is the gateway to Toronto’s east end neighbourhoods. It is a large and diverse community that is especially well known for its colourful shopping districts and quaint Victorian homes. North Riverdale from Gerrard to the Danforth is very popular with young affluent professionals, while South Riverdale has traditionally attracted a wide mix of people looking for affordable homes close to downtown. Riverdale was a small rural community until the Grand Trunk Railway began steaming through here in the 1850’s. The railway brought industry and employment opportunities to Riverdale. It also attracted a pool of labourers who built the first homes in Riverdale, south of the railway tracks. North of Queen Street Riverdale remained largely undeveloped until 1884 when it was annexed by the City of Toronto. At that time Riverdale was called Riverside. 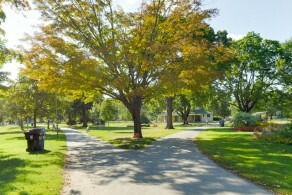 The name was probably changed to Riverdale as a reference to the city park of the same name, that has long been a landmark in this area. Riverdale’s development was accelerated in 1918 with the building of Toronto’s largest bridge, the Prince Edward Viaduct. The Viaduct provided Riverdale with an important link to the City of Toronto, west of the Don River, and marked a coming of age for this popular Toronto neighbourhood. Off The Hook Gourmet Fish N Chips serves up classics with a modern twist. Using organic batters, local produce and fresh fish! They have premium beverages and plenty of gluten free dishes. Offering various types of fish not seen anywhere else including red snapper and mahi mahi. They also serve more traditional halibut and sea bass, all of which can also come grilled.The seafood selection, which also includes lump crab cake and panko-crusted shrimps and scallops, is all sustainable and comes with a large selection of dipping sauces—curry, pesto chipotle, wasabi and tartar. Off the Hook encourages dining in, with over half a dozen tables draped in black cloth. The room might be a little sparsely decorated, but that just allows diners to focus on what matters most: the fish. Allen’s offers a daily barbeque menu cooked over Canadian hardwood charcoal. This Irish saloon on the Danforth cooks up some of Toronto’s best patio grub for the masses that frequent Allen’s. Upscale favourites like steak or lobster hit the grill Tuesdays through Saturdays. 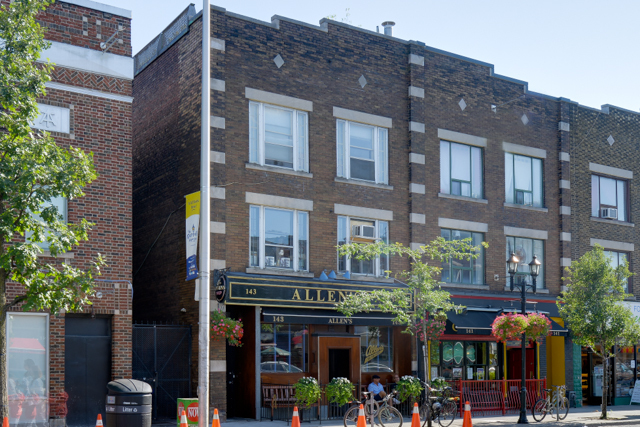 A Toronto legend, Allen’s restaurant specializes in Irish American fare. With no less than eight potato recipes on the menu, and such Celt-inspired recipes as steak, carrots, onions, and mushrooms braised in Guinness Stout, this restaurant is an unabashed romp in Irish culture. The all-VQA wine list has won the Ontario Wine Council Award of Excellence, the Cuvee Gold Award as the Best Ontario wine list and the Royal Bank of Canada Award for the Best Ontario VQA wine list. For a full Irish reel, sample some of the 355 different whisky’s (278 Scotch Single Malt), 140 bottled beers and 15 draught. An old-fashioned, family-friendly delight, it’s not to be missed. 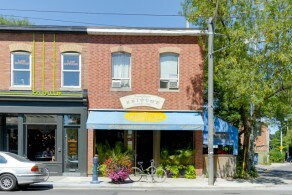 The patio is home to one of the largest trees in Toronto. Set on the Danforth strip is the Pantheon restaurant, offering an authentic Greek experience. 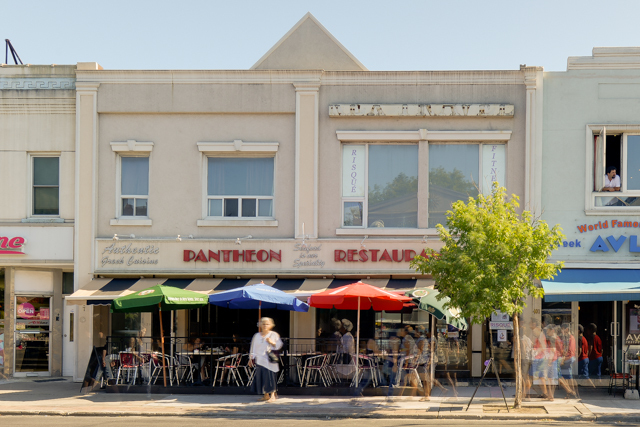 Boasting traditional Greek dishes and fresh fish imported directly from Greece, Pantheon assures its fare is prepared with the utmost respect to the rich culinary traditions of Greece. Menu highlights include calamari, tzatziki, saganaki opa (pan fried kefalotiri cheese flamed with cognac), dolmadakia (stuffed vine leaves with rice and ground beef), pork, chicken and lamb souvlaki dinners, roast lamb and mousaka. The wine list features a generous selection of red and white wines imported from Greece. The restaurant houses a semi-private dining room with a fireplace and boasts hand painted frescos reminiscent of ancient times. Private parties for up to 50 people can be accommodated and catering is available. Located in the heart of Greektown, Messini serves up Greek cuisine such as spanakopita, chicken souvlaki and their incredibly popular gyros. Open now for 10 years, Messini has become known for its friendly service, heaping portions and of course, their huge gyros, each of which are topped with onions, tomatoes, tzatziki and French fries. The restaurant also boasts a large menu that offers everything you expect from a Greek restaurant: kebab plates, salads, lamb chops and tirokroketes. Reasonably priced, Messini is popular with Greektown’s younger crowd, especially since they’re open until 4 a.m. on Fridays and Saturdays. 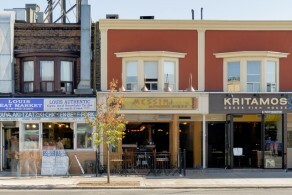 Messini has casual dining room and small outdoor patio, perfect for people watching in the summer. Take-out and catering is also available. 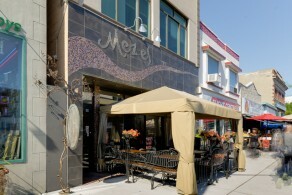 At Mezes, food is meant to be shared and enjoyed in large groups. The restaurant says it promotes the most genuine Greek method of eating out: ordering several dishes and sampling everything. With its vast menu, this philosophy is easy to follow at Mezes. There are seemingly endless appetizers to choose from (from dips to spinach pies to cheese and meatballs), as well as many combination platters with lamb chops, chicken breasts, loukaniko and quails. Large, sharing size salads are also on the menu. Be sure to save room for dessert: the homemade chocolate baklava, made with bittersweet chocolate, walnuts and dried figs, is a definite crowd pleaser. Mezes also boasts an impressive wine list. The restaurant interiors are cozy, comfortable and adhere to the Grecian theme – towering columns, lush plants and ambient lighting all complete the dining experience. On warm summer nights however, diners might prefer to eat out on the restaurant’s large, partially covered patio. Catering is also available. 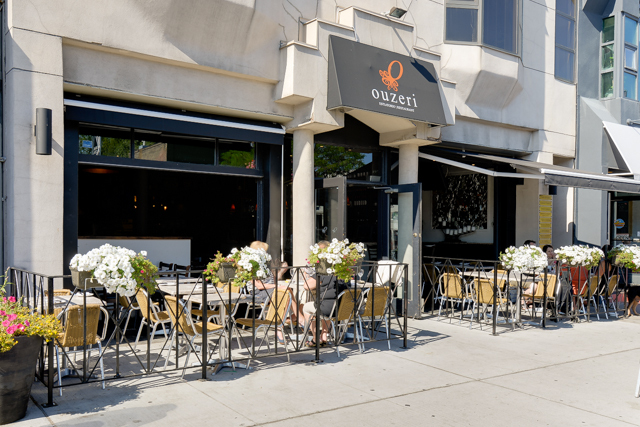 Located in the heart of Toronto's Greektown, Ouzeri has been a mainstay to one of North America's largest Greek communities. From their famous Saganaki, to their succulent roast lamb, to their daily seafood and fresh fish, Ouzeri recaptures the culinary style of authentic Greek cooking. The menu offers a wonderful myriad of tastes and textures. Ouzeri's shaded street side patio is the ideal spot to enjoy all the palates that Ouzeri has to offer in the warm summer days. 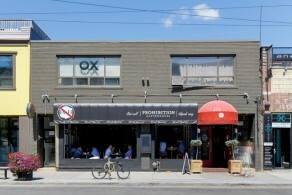 Every weekend morning attracts two separate lineups outside this Riverdale brunch place. The first is for flaky croissants and sweet brioche to inhale at home. The second is for slow-moving brunch masochists, who are willing to endure a half-hour wait for one of just a dozen crowded tables. They’re rewarded with an excellent breakfast. Poached eggs squirt vibrant yolk over a pile of soft smoked salmon from Kristapson’s just down the street. An inch-high sandwich layers rich double-smoked bacon with slices of creamy avocado and smoky, spicy chipotle mayo. Everything comes with a thick, buttery slab of baguette and balsamic-dressed greens. 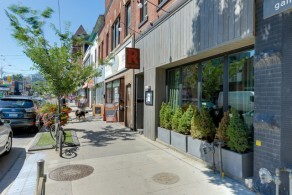 Table 17, located in the heart of Leslieville/Riverside, is a fun casual neighborhood wine bar and bistro. 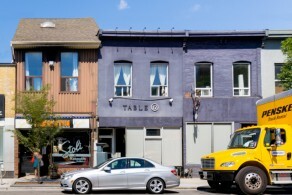 With an ever-changing seasonal menu, inspired by local ingredients and European preparation techniques, Table 17 is a great option for those that live in the neighborhood or for those from outside the Leslieville/ Riverside area that are looking for an inspired meal in a warm, welcoming setting. the bistro has a fairly short, well-priced menu of French, Italian and Spanish offerings and no gimmicky concepts. Chef and TV personality Lynn Crawford, of the Food Network’s "Restaurant Makeover" and "Pitchin’ In," worked magic of her own, overhauling the former Citizen restaurant with designer Cherie Stinson. The 70-seat eatery is long and narrow with a convivial area where people can drink, dine and chat. The setting is fairly minimalist, with one exposed brick wall hung with a huge Ruby Watchco sign and large mirrors on the other to give some sense of space. Crawford and co-chef Lora Kirk cook a chef- and market-driven, daily-changing menu that showcases local farmers and growers. There is but one four-course, $49 menu offered every night. One night the starter is house-smoked rainbow trout on a salad of fingerling potato, watercress and spinach, followed by Zuni-inspired lemon rosemary roasted chicken with creamy mascarpone-Parmesan polenta and panzanella salad with chicken wing vinaigrette. If you don’t like what’s on the menu that night, you may request a vegetarian or fish alternative---but don’t expect to see anything à la carte in print. The cheese course may feature Upper Canada Cheese’s Niagara Gold with Morello cherry jam, while dessert could be carrot cake made from someone’s mother’s recipe. The wine list is predominantly well-chosen Canadian. While Prohibition Gastrohouse places a strong focus on premium beers, spirits and wines at the bar, the food is more than a complement to the libations. The space is nicely divided up so that diners can have a quieter meal, take in televised sports at the bar, or pause for a game of pool. The menu is extensive, with everything from upscale fries and mac ‘n’ cheese to lamb shank or a 12-ounce steak served with a half-pound of garlicky sautéed shrimp. Large salads are a meal in themselves. Then again, the pulled pork sandwich and bison burger are on hand to satisfy heartier appetites. Weekend brunch offers many regular menu items, with the addition of “Benny Canard” (duck) and a massive burrito stuffed with all the fixings. A scaled-down, late-night menu is available everyday as well. Plus, a daily "Hooch Hour" has items with reduced prices between 4 p.m. and 7 p.m., and again from 10 p.m. until midnight. 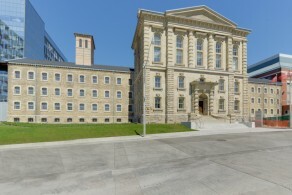 The Toronto Jail, more commonly known as The Don Jail, was located in Riverdale near Gerrard Street and Broadview Avenue. It gets its nickname from the nearby Don River. 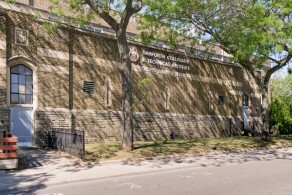 The original Don Gaol building closed in 1977 and is now owned by Bridgepoint Health which renovated and opened the site as a new administration building in spring 2013.One reason for the popular use of "The Don" nickname is that this jail was the third or fourth to be known as the Toronto Jail. 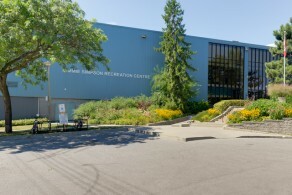 A large facility located in the Logan and Queen St. area, the Jimmie Simpson Community Centre is known as a hub for recreational programming with a variety of opportunities for everyone from pre-school to older adults. It offers a wide-range of activities including fitness, youth, sports, after-school and pre-school programs. Jimmie Simpson Artificial Ice rink is located inside Jimmie Simpson Park. There are also tennis courts and a soccer field in the park. 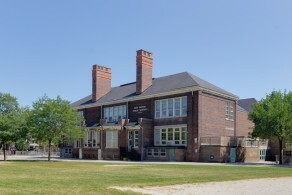 The Ralph Thornton Community Centre is a community centre that forms the hub of the Leslieville/South Riverdale neighbourhood of Toronto, Canada. Designed by one of Toronto's most noted architects, E.J. 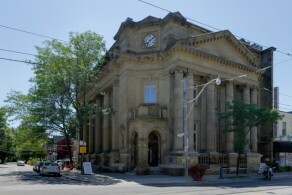 Lennox, the neoclassical heritage structure was originally built in 1913 as a post office. In 1979 it was leased to the city and converted into a community centre. 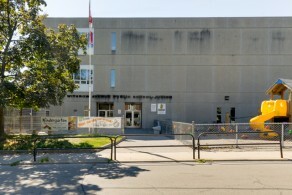 The building today is home to the Queen/Saulter branch of the Toronto Public Library, a day care, and has offices for some 30 community organizations. It is named for Ralph Thornton, a taxi driver and prominent community activist in the Riverdale area. 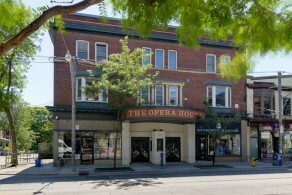 The Opera House opened in 1909 as a vaudeville stage. Seating almost 700, it was the main entertainment venue in the primarily working-class neighbourhood. As films eclipsed vaudeville the theatre was turned into a cinema, operating as the La Plaza Theatre for many decades and later under a series of other names.As multiplexes made large single screen venues no longer viable as a cinemas, it became a performing arts venue. In the late 1980s it was home to the successful gospel musical Mama, I Want to Sing!. In the early 1990s it became The Opera House music venue. 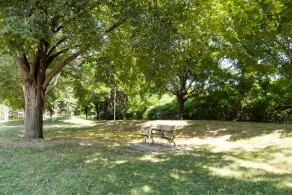 Withrow Park is an 8 hectare park on Logan Avenue just south of Danforth Avenue featuring two ball diamonds, a multi-purpose sports field, two outdoor tennis courts, a volleyball court, a dog off leash area, a wading pool and a children's playground. In the middle of the park is the Withrow Park Outdoor Artificial Ice Rink. 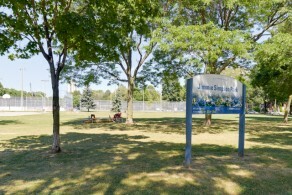 This small park near Jones and Dantforth Avenues has a variety of outdoor amenities for nearby residents to enjoy, including a baseball diamond, an outdoor wading pool and a playground.The park's primary use is for baseball games given the wired field screen as a part of the baseball diamond, open year-round for the public. 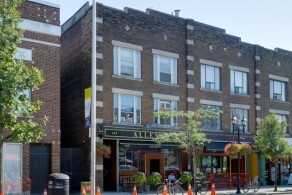 The Phin Avenue Parkette is located in the Pocket along the Danforth, backing onto the Greenwood Subway Yard. It's known for hosting Phin Park film nights and is a short walk from cafés and plenty of Greek restaurants. 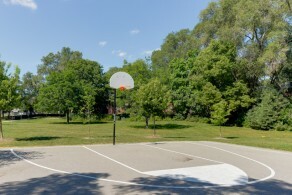 Amenities: Playground, wading pool, running track, soccer field and basketball court. Bruce Mackey served Toronto District School Boardas a teacher and librarian at Earl Grey Senior Public School for 25 years. 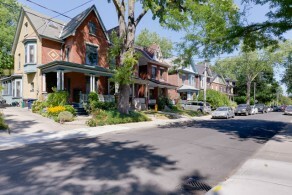 Bruce Mackey opened his home, 98 De Grassi St. in Toronto, to filmmakers Linda Schuyler and Kit Hood whose short film led to the Canadian TV Series, Kids of Degrassi Street. Born in Toronto, Ontario, Bruce Mackey died of cancer in 1997. On September 14, 2003 Wardell Park on Degrassi St and Queen in Toronto was renamed Bruce Mackey Park in his honor. Bienenstock Natural Playgrounds designed the natural playground at McCleary Playground in partnership with the City of Toronto and ING Direct as a community build project. 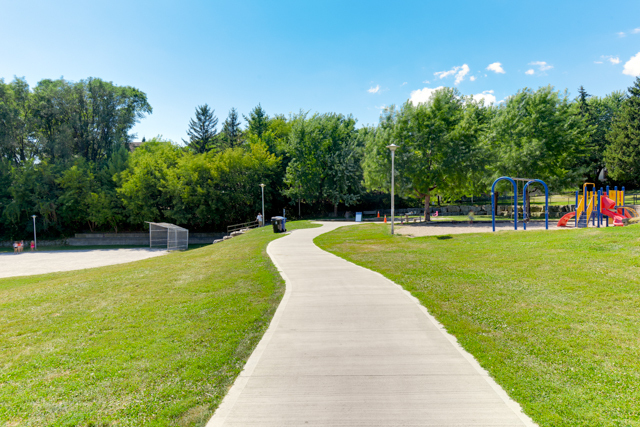 This park was chosen within a neighbourhood that required green infrastructure, had predominantly young families with children and a community that desired a playground. 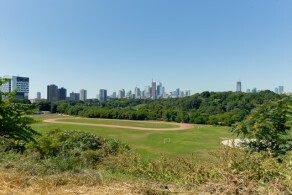 This 18-hectare park near Danforth and Broadview Avenues is popular for winter toboganning and views of downtown Toronto skyline. Riverdale Park East features two ball diamonds, three multi-purpose sports fields, a running track, seven tennis courts, an artificial outdoor ice rink and ball hockey pad, a picnic area and a children's playground. A naturalized area at the north end of the park has many recreational trails idea for walking. 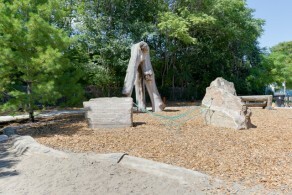 Located at the north entrance to the park on Broadview Ave is the Riverdale Park East Outdoor Pool. 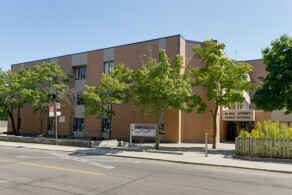 Holy Name Catholic School is located on 690 Carlaw Avenue. The school has close to 350 students from numerous ethnic and cultural backgrounds. 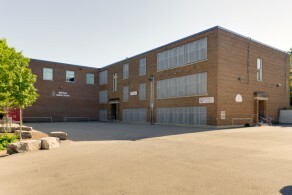 The school serves the Catholic Community of Holy Name Catholic Parish from Junior Kindergarten to Grade 8. The school has a strong commitment to the academic lives of our students but also fosters artistic, spiritual, and emotional qualities in its students. As a critical member in the triad of Home, School, and Church, they look forward to serving their community. 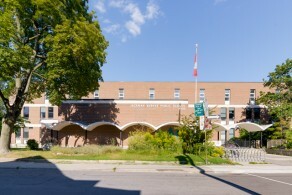 Jackman Avenue Public School opened its doors in 1963 as a small English Community School with a staff of 14. In 1971, the school broadened its scope, and welcomed one of the first early French Immersion programs in Toronto. In the past 47 years, the population of Jackman Avenue has grown extensively; so much so that a huge renovation occurred, doubling the size of the school and adding on a third floor. 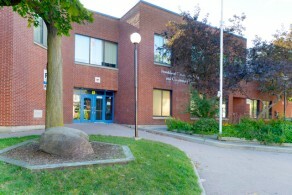 Jackman remains a dual track school, and is almost evenly divided in numbers between French and English students. Currently, 34 teachers serve nearly 700 students. The school has a very close relationship with the Jackman Community Day Care, which has shared space within the school for the past 25 years. Jackman also offers lunch programs and is eco conscious. 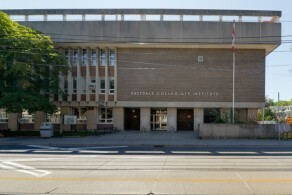 Danforth Collegiate and Technical Institute is a specialized Math, Science and Technology school that is proud of its past but equal to the challenges of both the present and future. The school motto is "We learn by doing" and, indeed, experiential learning defines the "Danforth Way". Students have access to a wide selection of engaging and innovative courses, offered in a caring, encouraging, and inclusive atmosphere. Across the subject disciplines, from Technological Studies to the Arts, individual student creativity is encouraged and celebrated. Danforth also supports a wide range of special needs students and is committed to the learning success of all students. 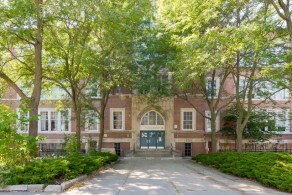 Opened in 1915, Wilkinson Public School has been part of the Danforth/Donlands community for 95 years. Our school is rich in cultural diversity, with 500 students speaking over 15 different languages. All people at Wilkinson work towards building a welcoming, respectful, and safe school for everyone. Our dedicated staff and parents work together to create a close-knit school community for the benefit of our whole neighbourhood. They have a Mid-Extended French program begins in grade 4, where language, social studies, art and drama are taught in French with math, science, music and physical education being taught in English. Eastern, a collegiate with a business and technology focus, is located in a quiet tree-lined pocket of the city close to Donlands Subway and accessible from all parts of Toronto. Eastern prides itself on serving a diverse, multicultural population with special programming for our English as a Second Language population and a selection of courses for students with Special Education needs. Eastern Commerce Collegiate Institute is committed to high standards in academics, athletics and student leadership, nurtured in an inclusive, respectful, multicultural environment. Students gain knowledge and skills to become responsible lifelong learners in an ever-changing technological society." Earl Grey strives to provide excellence in education and a full range of quality extracurricular activities ranging from athletics to leadership opportunities. Through partnership with the home, staff provides opportunities for students to learn and grow intellectually, socially and emotionally. Character education drives Earl Grey's safe and caring school plan which links to our school-wide Code of Conduct and clearly established school rules and policies, including a school-wide homework policy. Each member of our community has clearly outlined responsibilities that accompany their rights. The school is named for Albert Henry George Grey, 4th Earl Grey, a British nobleman who was Governor General of Canada from 1904 to 1911. He was a Liberal politician who sat in the House of Commons of the United Kingdom from 1880 to 1886. The Canadian football trophy the “Grey Cup" was named in his honour. Pape Avenue School at its present site, the corner of Pape and Langley Avenue, began as a four-room school in 1899. As the population grew, several additions were made to the building from 1908 to 1914, with the newest wing built in 1958. Today Pape Avenue School is a community of students from diverse cultural, linguistic, and socio-economic backgrounds. The school celebrated its 100th anniversary in 1999. 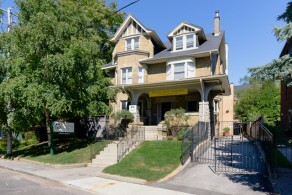 First named the Hamilton Street School in 1889, in 1904, the building was destroyed by fire. Children attended school in the classrooms of neighbouring churches until the new school was built on our present site. Queen Alexandra School was officially opened on December 1, 1905 and was named for the Queen of England at that time - Queen Alexandra. The present school celebrated its 100th Anniversary in 2006 and continues to be the hub in our community. The school serves approximately 330 students in Grades 6, 7 and 8 with more than half of the population of east-Asian backgrounds. Queen Alexandra staff is committed to building a strong partnership between students, staff and parents to provide our adolescents with a productive, relevant learning environment as well as a rich, extensive co-curricular program to engage our largely inner-city population. 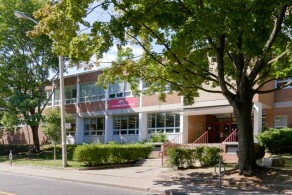 Founded in 1968, SEED– Shared Experience Exploration Discovery – is North America's oldest public alternative secondary school. Since then it has been a haven for students with high potential who seek a small and nurturing environment that supports their individual needs. SEED is a warm dynamic space where people who are passionate about learning thrive: Small classes enable students an opportunity to provide input on course content and evaluation and, where possible, to design projects which stimulate personal interests. 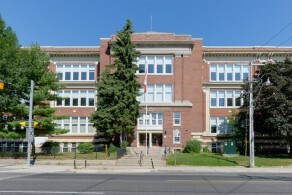 Dundas Public School is a downtown school located in the South Riverdale area. 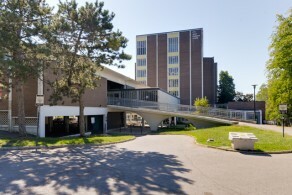 The original building was opened in 1910, with a large addition constructed in 1961. The school serves almost 280 students of multicultural background. Approximately two thirds of the children's first language is Cantonese or Mandarin. We share our building with First Nations School of Toronto. 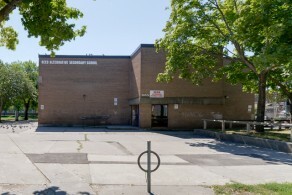 The school site is a multi-use site shared with Dundas Kindergarten Enrichment Program, Head Start Program, Queen Alexandra Middle School and S.E.E.D., an alternative high school. Dundas School Nutrition Program - Dundas runs a nutrition program which offers a Universal Morning Meal Program and a hot lunch prepared on site in the Dundas Nutrition Program Kitchen. The Nutrition program is funded by the Province of Ontario, the City of Toronto, Toronto Foundation for Student Success, and parental contributions. The Nutrition Program is run by the Nutrition Committee, the Cook/Coordinator, and parent volunteers. Eastdale is a small learning community characterized by its safe, inclusive and encouraging environment. Small classes and our supportive and caring staff ensure that students are recognized for their individual needs, abilities and achievements. Students from across the city are welcome and we are a culturally diverse community of learners with a focus on employability skills. Withrow Avenue Public School in Riverdale has rich history, celebrating its 100th Anniversary in 2003. 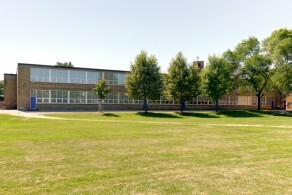 The school's current building was constructed in 1972 and was designed around the open-concept model that was commonplace for the times. We are a dual-track school, offering both an English and Early French Immersion program to approximately 600 students. 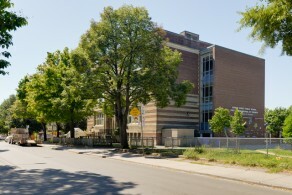 The building also houses the Withrow Childcare Centre as well as Quest Alternative Senior School. Withrow is also a focal point for the community and is used by community groups outside school hours. Montcrest is a co-educational community, small enough to honour the individual and big enough to provide an exceptional academic experience with balanced opportunities in leadership, the arts, and athletics. Our school challenges children to discover and acknowledge their own voices, so they can understand and make meaningful connections with the world. The City Adult Learning Centre is a secondary school that offers an academic program for adult students – people 21 years of age or older – who wish to earn the Ontario Secondary School Diploma (OSSD). CALC is a Continuing Education School, an adult day school but subject to the regulations and procedures for Continuing Education. Under the same roof, CALC Secondary School offers the Ed-Vance Program which provides an opportunity for adolescents aged 18-20 to re-enter the education system to earn credits quickly towards the completion of their diploma or post-secondary requirements. CALC offers courses at the applied, academic, open, college and university levels. All the usual academic courses are available, such as Mathematics, English, ESL, Science, Business, Computers, History and the Social Sciences. The school also offers a certificate program for Personal Support Workers and the first semester of the Practical Nursing and Police Foundations programs. The school is located in downtown Toronto but draws students from the entire city. There are approximately 2000 students in the Adult program at CALC and an additional 500 students in the Edvance program.